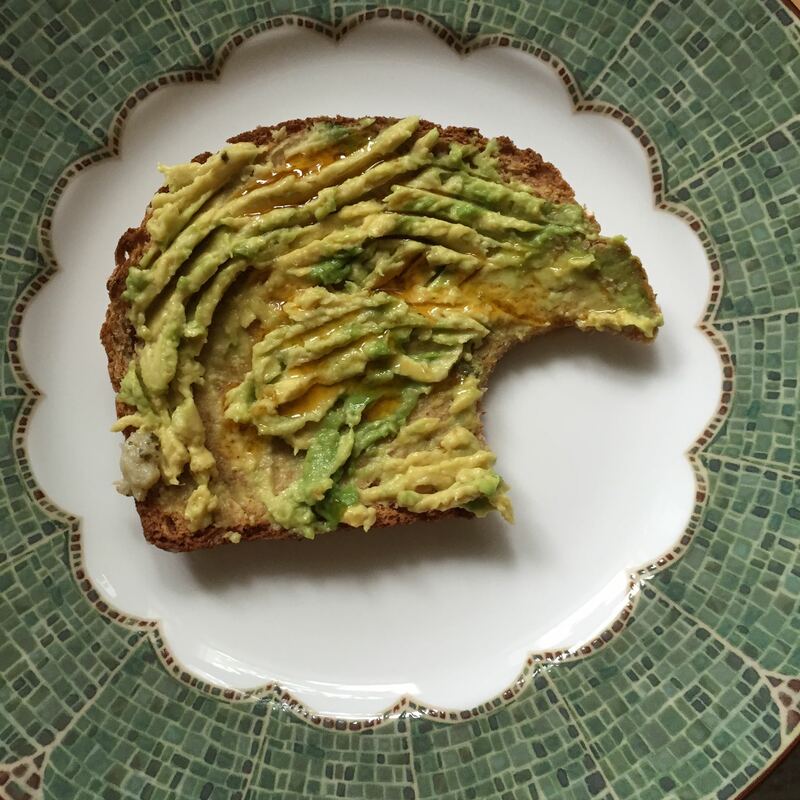 Avocado Toast with Chile Oil and Sea Salt – Voila! As simple and delicious as it sounds. I had this for dinner one night, then lunch the next day and I would eat it for breakfast on day three, if need be! Toast bread. Shmear as much or little avocado on it as you want. Drizzle oil. Sprinkle with salt. Eat!